I have been having such fun sewing for my 2 little friends... Julianna age 3, and her sister Brooklyn, age 9 months! This set for Julianna was meant to have a retro look. 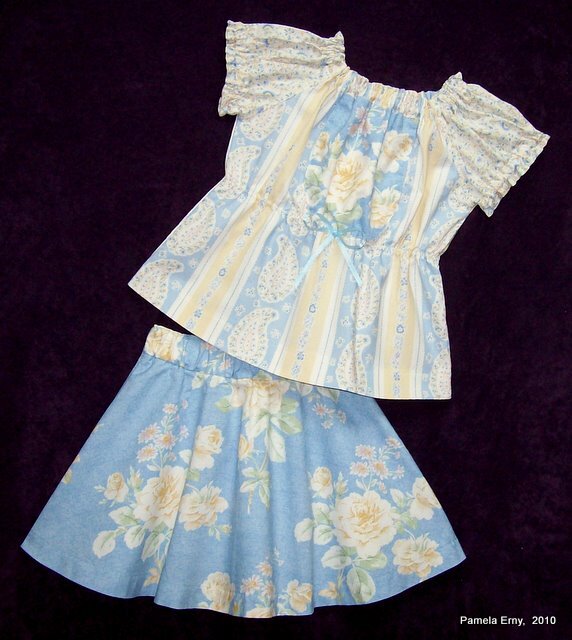 Made with soft cottons fabrics, I re-designed basic Ottobre Design patterns to achieve what I think is a very sweet set.